Hitchcock Circus, WATT4 And Oderus Urungus: RFC 71 Is Live! 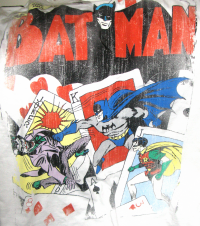 Radio Free Charleston number 71, “Golden age Batman Shirt” is online now! This episode of your local music, film, animation and weirdness program includes new music from WATT4, vintage music from Hitchock Circus, a Plant Ro Duction Mini Movie, and a special appearance from IWA East Coast‘s Mad Man Pondo and a friend. We conclude “Mark Beckner Month with two songs from his band, Hitchcock Circus, who you can see at LiveMix Studio this Saturday. This is a homecoming for Mark, who was a regular on the old RFC radio show. WATT4 was recorded just last week at The Blue Parrot, and Pondo’s “friend” is Oderus Urungus, the lead singer and mastermind behind GWAR. You can see Oderus wrestle for IWA East Coast next month. Details are found below. Host segments were shot out around the Southridge Shopping Center, Southward down Corridor G from the downtown area. Sometimes we have really good reasons for picking our host location. It might be the sight of an upcoming event, or a place where we can get a Charleston landmark in the background. This week’s location was chosen because we hadn’t eaten at Red Lobster for a few months, and were really hungry. Lobster pizza plus wood-grilled Tilapia rules! Also, our namesake shirt is mostly obscured this episode. It’s presented at the right, so you can see how cool it is. It’s the cover of Batman N0 11, from 1940. I got it off the sale rack at Target. Sadly, because I also wore the vest this time, you can barely see it. And then the vest sort of made me look like Ed Norton (the Honeymooner, not the actor), so that didn’t really turn out too well. Covered up a really cool shirt. RFC 71 sees the end of “Mark Beckener Month,” the mortifying publicity stunt I cooked up to help promote the return of Mark’s band, Hitchcock Circus, to Charleston for the first time since 1995. 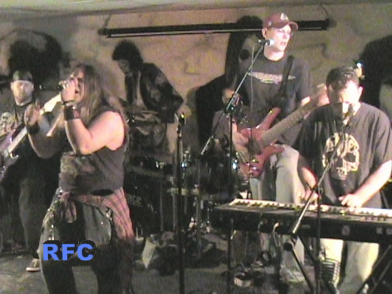 We actually have footage of the band this time, provided by Stephen Beckner, who sings lead on the song “Change Coming On.” We also have a second tune by the boys, this time with Mark singing “I Want You” with a full band behind him. You heard a mostly-acoustic version last week on the show. I’m not sure when these videos were shot, or who ran camera on them. I’m hoping Stephen will enlighten us in the comments section. You can catch Hitchcock Circus this Saturday at LiveMix Studio, on Quarrier Street. The show kicks off around 8 PM. Admission is five bucks, and includes a copy of Hitchcock Circus’ self-titled CD. Our other musical guest is WATT4, featuring vocalist Lee Harrah, who is on hiatus from The Ghosts Of Now, along with Ryan Fletcher on keys, Randy Pauley on guitar, Doug Litten on bass and Jason Knapp on drums. These guys have an amazing sound that veers from metal to progressive to just a hint of alternative rock. We recorded them last week at The Blue Parrot, doing their new song, “Empty.” We’ll be hearing a lot more from this band as they make a splash on the local music scene. 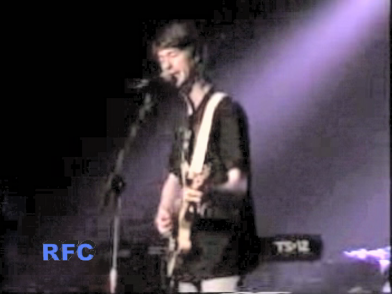 We recorded several songs by the group, which you will hear in the coming weeks on RFC. Mad Man Pondo checks in this week with a message about the next IWA East Coast show. 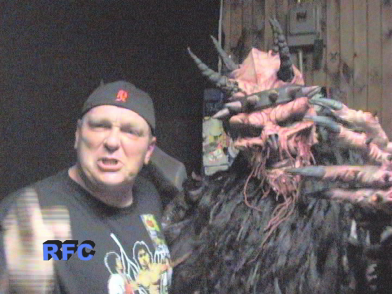 He also brought a friend, Oderus Urungus from the indescribable band GWAR. Oderus is facing Tracy Smothers in a “Loser Leaves Earth” match at Pondos Big Birthday Bash show at Coonskin Park’s Schoenbaum Amphitheater on June 24. 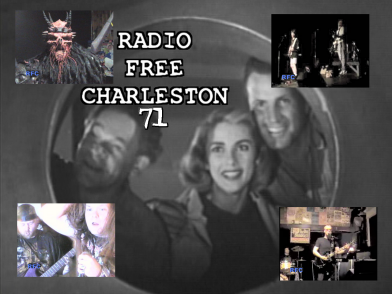 Oderus was kind enough to record a special inspirational message for RFC viewers that you can see in this edition of Radio Free Charleston. Special thanks to Bo Vance for making these happen. This episode also features “Damage The Tiny Man,” the latest contribution from The Plant Ro Duction Militant Pacifists Collective. This heart-warming short film is sure to bing tears to your eyes. That’s it for this week’s RFC. In two week we return with our seventy-second episode, featuring music from Whitechapel District and The Scrap Iron Pickers.Stick with us as we contine the “Drive to 75” with music from Ovada, and Flare Baroshi, plus an entire episode recorded during FestivAll, which will go online during FestivAll! 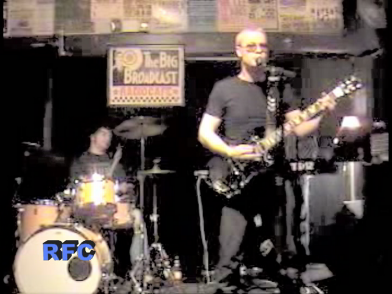 “Change Coming On” was at the Cannery in 1996, video by Baxter Buck, a photographer who is now in Memphis; “I Want You” was at a place called the Radio Cafe (I think) but I don’t know who shot that one. Oderus Uranus is great! His group LORDI is the coolest band ever.